[Podcast] RNR #236: Are the Reds really making a clean break from the past? Bill Lack and I got together again to discuss the Cincinnati Reds. The overarching question: given the managerial and coaching hires, and the reports that the Reds are very active in free agent and trade discussions, are we really seeing a new direction for the Reds, a more aggressive team that is serious about winning now? 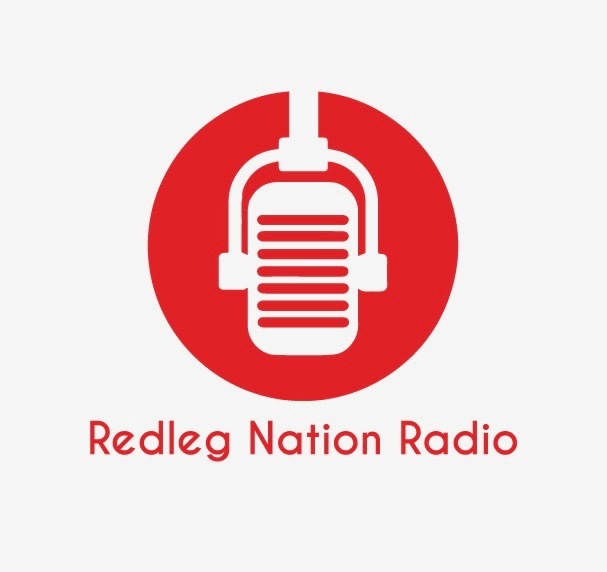 Follow us on Twitter: @redlegradio. Music for this episode provided by Freekbass, a big Reds fan and a friend of Redleg Nation. TJ Friedl: The Bunt King? When WJ no longer has any position with the Reds organization and no input into Reds baseball ops decisions & when BC completely separates himself from influencing or commenting on any baseball ops decisions, the Reds will have fully and demonstrably turned the corner from the antiquated methodology so disastrously on display during the entire BC regime. Yes this. If WaltÃ¢â‚¬â„¢s involved, they havenÃ¢â‚¬â„¢t evolved! The Reds are on the verge of getting out from under the throttling Bailey contract. Under no circumstances should the Reds again over extend themselves for a starting pitcher, especially a starting pitcher on the wrong side of 30. That’s simply a fools gamble. There’s absolutely nothing wrong with waiting out the FA market for starting pitching bargains or adding 2nd tier FA starters on manageable contracts this off season to fill holes in the starting rotation. The potential starting pitching FA for 2019-2020 looks much more promising than the starting FA in this off season options. Trading any prospect quality for a starter to 1 year of control would be ludicrous and gutting the prospect quality for a starter with just 2-3 years of control seems counter-productive to any chance of establishing and maintaining a competitive team. Trading Nick and Hunter for 1 year of Mike trout is not very smart. If he had 4 years of control, then I would agree to it, else NO WAY. Jon Heyman of Fancred Sports reports that James Paxton and Sonny Gray are the “main focus” for the Reds as they seek rotation upgrades. Heyman notes that they’ve talked to the Indians about Corey Kluber and Carlos Carrasco, as well. The Reds have also been connected to the big free agent starter arms, as well, as it’s clear they’ve intent on giving their rotation a shot in the arm this offseason. Paxton has been a popular trade target early on this winter, with the Yankees and Astros among the clubs also showing interest. Gray is a shoo-in to be dealt this offseason and would be reunited with former college pitching coach Derek Johnson in Cincinnati. Reports are the Yankees are mulling multiple offers for Gray. If the Reds are intent on keeping Scooter Gennett , Shed Long has no role. Hamilton and Long for Gray as the principals would makes sense. Unloading Hamilton’ s salary would be almost revenue neutral based on arbitration projections. Johnson could also get involved early with Gray’s off-season program. This makes too much sense. Redsfest coming up. The Reds need a big splash. It’s very unlikely the Reds win in 2019. They can’t blow up the rebuild by trading top 5 guys or commiting 4-5 years at 80-100 million. Gray gives them a cost friendly change of scenery proven guy with strong ties to Johnson. They could then sign a mid rotation FA at 2 years 20-30 million. Reed and Ramono and Mahle and Santillan get another year to evaluate their ceiling and starting potential. ..Johnson gets Bailey for spring training to evaluate. Senzel, Trammell, Green, Santillan ,India stay and 2020/21/22 are still better than 2019. The rebuild has been abysmal, one of the worst ever. Reed, Ramono are busts. Still like Tyler. Need to make a change or several more 90 loss seasons are on the way. I agree with your assessment, Old-School. The Reds need to upgrade their pitching, but doing so by adding expensive over-30 guys and depleting their group of top prospects seems completely counter-productive. How could it not lead to a team that was still bad, but for different reasons? Reed and Romano may still prove to be serviceable pitchers. Reed as either a starter or reliever. Romano, strictly a reliever. Commenter on MLBTradeRumors.com said he heard on ESPN Radio in Dayton that discussions with Yankees for Gray have included Alex Blandino and Jeter Downs. That alone is not going to get it done, if there is indeed any truth to it. Home much more should it take? Gray is no longer that good. The Phillies GM made comments this week that the franchise was going all in this off season and get Ã¢â‚¬Å“stupidÃ¢â‚¬Â with spending money. How I would love to read something like that coming from the Reds. I also would love to hear it. I would think that the Reds front office would actually make some real moves this offseason, given the goodwill that they seem to have garnered with the Derek Johnson and Turner Ward signings. However, like Mr. Cossack says unless WJ goes away and BC stops injecting himself into FO decisions and making public comments there is a great deal of skepticism that the FO will make nothing but the usual token transactions this offseason. Have most of the RLN writers been declared free agents after the World Series? Very little new content over the last 4-5 weeks. It is much less enjoyable getting my daily Reds fix at other venues. Finally an off-season to write about, but we get mostly crickets. Thank goodness Doug Gray cranks out a couple of articles a day at his site. The Reds coaching staff got a little Mountaineer flavor over the weekend. JR House is to be the 3rd base coach and Catching coach. That will be a big improvement over Hatcher at 3rd base. Maybe retain Hatcher if they move him back to 1st base coach. House was a national record setting QB in football throwing TD passes in high school, but he chose baseball as a career. He played football in WV and played baseball at a high school near Daytona Beach, FL. He is a high school football legend around these parts. He threw 10 TD passes in game once and then repeated the feat in his last high school football game winning a state championship in 1998. Injuries, as usual, gave his baseball career a setback or two. He was a good catcher, a 5th round pick of the Pirates in the 1999 draft. Plus he briefly played quarterback for the mighty WVU Mountaineers! WV, at this point, the Reds have painted a picture that it will be raining new impact pitchers, one way or the other. All that is really left at this moment is to see who is acquired. And how. IMO, the Reds could be well served waiting past New Year’s Day and see who is still a free agent, feeling anxious about being signed. The game has shifted towards youth. Some of these over-30 SPs aren’t getting the deals they would have 5 years ago. Chad and I have been swamped with our jobs. We’ve talked about it and hope to get a few posts up this week. I can assure you that complaining really helps. Complaining is, as you say, kn own to help. The question is who? Understandable. Not complaining. Just curious. In past years post-seasons there was a lot written about many good subjects. Now in a post-season the fans have been promised will be an active one, it has been a little strange not to see more new content than we have. Like many others, this is my go-to Reds site, but there just hasn’t been much to go to. 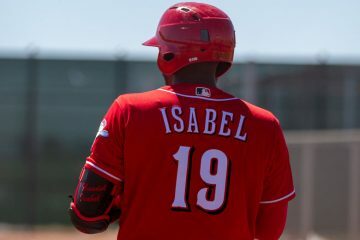 A new manager, a new coaching staff, Hunter Greene’s elbow, is there a position for Nick Senzel in 2019, new starting pitching philosophies, where does The Rebuild stand after 4 miserable seasons, and there is speculation galore on what new players the Reds will bring in for next season and what players may be traded this winter. There has been plenty to write about and there will be much, much more to write about as the off-season progress. Glad to hear this isn’t a new normal. It is just a little depressing to have to go to the Enquirer for anything Reds related. Don’t fret however, Red Reporter hasn’t been cranking out much more either. Looking forward to some new items and the discussions that follow. Crickets now because–probably–they’re gathering strength for the long-awaited improvements in the roster. Happy Thanksgiving to all, albeit early. I was looking up some financial people’s tweets on Twitter….see James Paxton trending in Columbus. Got excited….only to find out he has been traded to the Yankees. I am Mr. “Let Bailey/Hamilton contracts expire, keep your prospects, make moves next winter.” But, knowing that is the plan, I am now caught up in seeing what guys the Reds actually get. For at least today, feels like that WKRP Thanksgiving promotion that turns out to be a real turkey. LOL. (Also, a great Redleg Nation annual post). The reds are so thin on high end position players, i really think that cute 3 weeks fooled ppl into thinking thry are close. The bench is a mess, there is still no back up SS, one injury and the OF is a mess as well. Votto declining, peraza below average, the epic barnhart second half tank, what if gennetts balky shoulder finally gives out and you trade senzel for a pitcher? Disco proved the assumption that if he was healthy he’d be good wrong. Just bad. The NL is loaded with young talent and rich teams. Cause they never actually let any young guys pitch the last three years we know more about arroyo and adelman then we do the young guys. They don’t know if they are 1 pitcher or 5 pitchers away. I’d respect them more if they held a presser and said they have realized the epic and disasterous decisions from the start of the rebuild and that they have made great hires, are finally going to modernize and are going to build around Suarez, Senzel and Trammell. The reds are going to have to develop their own players and use assets to make savvy trades to b competitive. That’s the truth of the matter. Tier 1 FA pitchers arent signing here, they just arent and trading away young cost controlled high end talent now for a pitcher so you can be .500 maybe next year is a huge mistake. Finally be honest with your fan base about just how dumb you have been and you promise to be better and maybe they will respect it but drastic overpays and steep trades for this thin roster is a mistake. Rant over. The current 39 man roster cant win 90+ games or pass theCubs/ Brewers. The Cards are going to dwarf whatever the Reds do in signing and trading- and that’s ok this year. Kudos to the Reds for making some solid needed change. I will give this new FO and coaching staff the benefit of the doubt. But. Raisel Iglesias, Luis Castillo and maybe Jared Hughes are the only 3 proven healthy pitchers in 2019. Votto, Suarez, and Gennett are the only proven hitters and Barnhart is a proven catcher. That’s only 7 players in the organization rock solid for 2019. Winker, Senzel ,and Schebler should be solid hitters assuming health. That’s 10. Peraza Lorenzen Garrett and Hernandez should contribute positively. That’s 14. Lots of optimism for 5-8 other guys assuming health and growth and lots of optimism for yet to be named 2 FA veteran pitchers….. But its nowhere near enough. Reds fest is coming. The Reds are absolutely gearing up the PR ticket drive for 2019. But, look at the roster. Look at brewers.cubs.red Sox .dodgers Yankees Astros nationals Rockies. It’s 2020.Stay the course. Interesting that Scooter Gennett is not coming to Redsfest with prior plans . Look at the roster. It was a bit more than 3 weeks, wasn’t it? Regardless, your point is well-taken. In the spirit of optimism, though, here on the eve of Thanksgiving, questions (like Peraza, Gennett, Winker and Schebler) aren’t the same as failures. During that good stretch, the Reds played pretty good fundamental ball and played with spirit. They need to strengthen the roster–pitching and, as you say, position players–but if they can replicate the approach they showed prior to the ASG, they could keep us interested and, dare I say, enthusiastic. Okay. No more optimism from me until they add some good players. Subject of Going to ST was brought up in Podcast and my family and I can highly recommend it as we were there about 2 years ago. Nice facility in Goodyear and it was fun to go to minor league game in afternoon and see a few major league guys getting some extra AB’s, chat with Eric Davis and met Taylor Sparks grandparents. Attended a night game and got a picture of my kids with George Foster. Several facilities all around phoenix so you don’t have to time it for a set of home games. We attended a road game at the Brewers’ Maryville facility and it was a nice venue too (day game, 1B line seating required). Most places then would let you bring in empty water/sports bottles for filling at water fountains too. If its a family trip, set aside some non-baseball sightseeing time too, Phoenix zoo is a good visit and many other zoos share an arrangement with them to discount admission if you are a memeber at your ‘home’ zoo. We plan to see grand canyon next time we go. Bring your patience though and give yourself some extra travel time, as the traffic can be sticky in spots, but that was the worse thing about the trip.